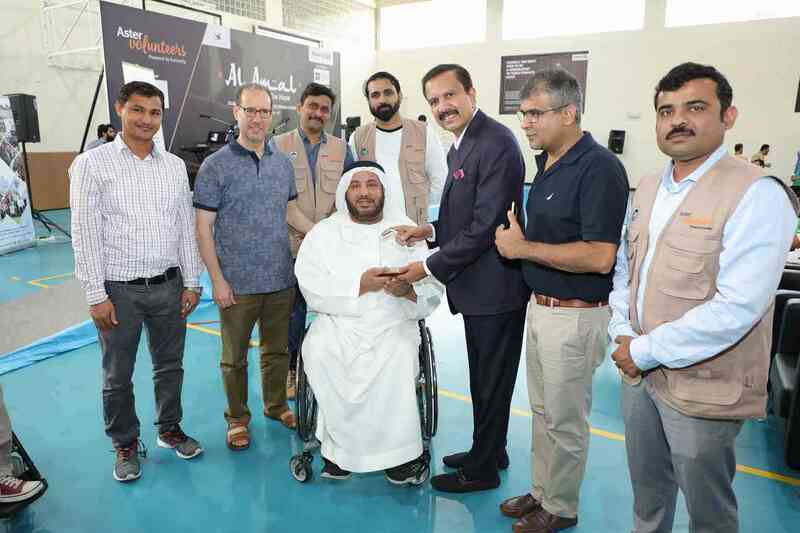 Recently in April 2017, Sheikh Rashid Bin Maktoum came up with this new strategy where all the billboards and signs consisting of people on rampled wheelchair with “people of special needs” to “people of determination”. Social networks were flooded with tweets and appreciation regarding this new strategy put for the by the ruler of Dubai. Often we segregate people of special needs to the one with disabilities, but we forget to remind ourselves that it is not the disability, it is the inability to progress faster and achieve more goals, but in a specially determined way. Stephen Hawking-one of the well renowned famous scientist was confined to a wheelchair, after he was paralysed and diagnosed with ALS (amylotrophic lateral sclerosis) when he fell off the stairs on his way to attend a meeting in Cambridge. Doctors promised him only few years of living till the disease finally shuts down his functions. However, Stephen Hawking’s renowned career continued over 40 years. Similar to that is Roosevelt the president of America who served for 12 years despite his disability in his legs. The list goes on and on, though so many of the famous personalities out there suffered from disabilities they achieved so much more than most of the normal beings like us and still we segregate them into a different group. By 20th century in Switzerland, IMP and CMD offered children learning conditions which were adapted to their special needs. Although they were given special conditions this equals to segregation. In 1970 , new policy came up. That is integration. Special needs people were added to normal school, but in addition to special education, it had limits because it was more like asking the child to adapt to the school and not the school to adapt to the kid. That is when UNESCO came up with inclusion, where special individuals are included in normal schools but limited to recess and lunch with special classes for them. Especially mentally underdeveloped individuals like autistic and kids with down syndrome often suffered more. 45% of Indians with special needs are illiterate by the census taken in 2011. Although present government changed viklang to divyang , people still complained though the name changed the discrimination still persisted. First one:- Education, see if the current educational system has access to all the individuals. Third and final one:- was employment for these individuals in variety of fields. 44% of special individuals are illiterate, mentally retarded (36%) and speech (35%) are likely to be out. It is thus still unclear on whether to segregate them into special schools or should they be integrated. What changes can we bring? Although, country or government bring up steps and strategies to give them special attention, us as an individual citizen should take up responsibility first. Our society confine these people into an empty closed box not letting them see the light outside and be among the people like us. It is impossible for us to change the entire world or society, but at least we could change ourselves and bring up small changes. Not everyone can help everybody. But everybody can help somebody. The first step starts within ourselves. This includes telling a kind word to the person disabled, smiling at them every time you see them ,invite them to every functions and parties and socially engage them and make them participate in everything,make friends with them , motivate them, support them , educate ourselves about the disability, this includes learning sign language. Proceed this further to educating and talking about this with the close ones that is family and relatives and friends. Especially educate the young children in your house about the people with special needs and make them learn moral values and how to behave with their peers with such disabilities. Because they are the future of the nation , this can help us bring better adults and better humans who would make a better society and world for those that are being isolated. Instead of identifying a person in accordance with their disability for example , if Ram is a deaf guy instead of saying Ram, the deaf guy change it to Ram the tall guy or Ram son of so and so! Most of these can be changed beautifully just through one’s speech and attitude. Conducting motivation classes and programmes can boost their confidence level and thus improve their mentality. Remind them that they ain’t differently disabled but differently-abled individuals who has the strong will power to achieve whatever they wanted just like any of us. As I mentioned earlier, like UAE govt said they ain’t specially disabled people but determined people. Above all let’s make sure that it is not the disability in physical or mental health that is to be corrected but the disability in each of our mindset!